How can we guarantee the wellbeing and safety of lone workers? The term “lone worker” is becoming a familiar one in the United Kingdom as employers and safety experts grow more and more aware of employees that frequently carry out workplace tasks while being alone within their company. With a growing awareness of what a lone worker is, there is an increasing understanding of their prevalence. Lone workers are indeed not limited to one industry or work type, and most probably you have several within your organisation or company. This is actually a great sign, since lone workers face additional workplace risks due to the fact that they work alone. The recognition and understanding of this fact is vital to maintaining workplace safety for each and every employees, including those that work alone or remotely. It doesn’t matter what statistics say about workplace incidents, it should be a common sense matter that workers safety must be the most important concern for all organisations. To make it crystal-clear, why would a worker be efficient while on his job if he is actually feeling vulnerable to risks and unsafe? Nowadays, technology evolution has increased the amount of workers who work alone either in indoor or outdoor conditions. It is more necessary than ever to build a framework to guarantee maximum protection for all staff and particularly for this group of lone workers, since they are expected to work in heavy conditions and usually in remote areas. Employers have a responsibility to educate these lone workers on their safety working conditions and to do what they may to protect lone workers from those risks faced. If you are responsible for your employees’ safety, it is your duty to develop training and procedures specific for your lone workers. 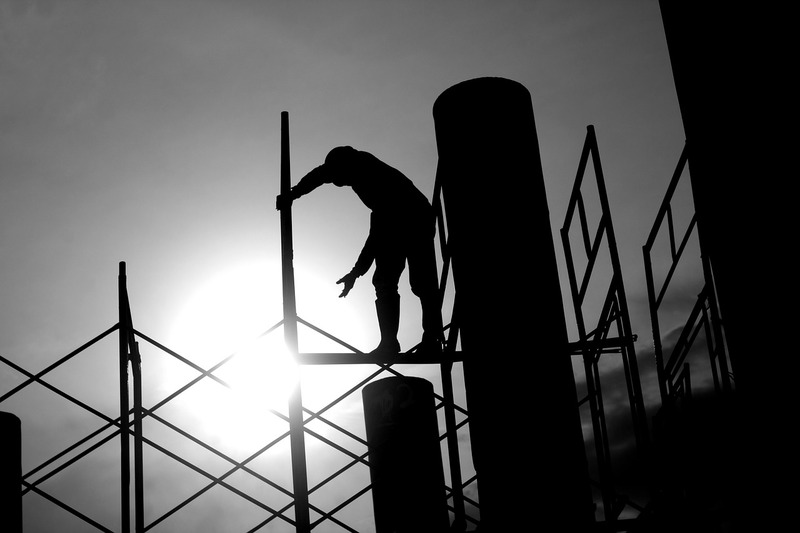 The term lone worker is probably familiar in case you have worked in risky conditions or perhaps far away from being supervised by superiors or other employees. Either way, you might care less in case you are not a lone worker but you must focus particularly on a Lone Worker Protection Policy in case you run a company and employ workers or if you are the manager of many lone workers. When the lone worker is not supervised by other workers or by a supervisor, nobody will realise that he deals with an emergency situation in case there is one. If nobody is around him, it will be impossible to help the lone worker in case there is an urgency. Essentially, a lone worker is what the definition indicates: a worker who is working totally alone. In case there is an incident or during an attack, the immediate sounding of an alarm will help your lone workers ask for help around and communicate that they are not alone by sending a warning to the aggressor, which has the potential to stall or even halt an attack. Several smartphone safety applications provide alerts and alarms in many different ways. Select a product that allows your employees to initiate the alarm without pressing buttons or unlocking the phone, as these unnecessary steps will make it more difficult. No lone worker should ever feel “alone.” Frequent check-ins and regular monitoring are absolute requirements. Monitoring stars with having precise records of where every lone worker is at all times. Lone workers are likely allocated one or more job sites, needing dispatchers or other corporate personnel to keep real-time updates of where lone workers actually are and if they are where they should be. Beyond adhering to legal requirements, employers must establish their own procedures and best practices. Every single job and work environment is different, requiring managers to establish, regularly review, and update customised protocols. Often just having access to a law enforcement and safety system is enough to discourage a potential attacker. Having a visual deterrent, such as a bright coloured tether attached to a phone device, allows the lone worker to share information about their safety system and support. By letting a would-be aggressor know that just by pulling the tether will result in a notification to the authorities, the worker can operate more confidently while the potential aggressor may think twice about escalating a situation. It’s vital to determine if individual workers need to work alone in order to carry out the responsibilities of their jobs, and that these workers are medically fit to work in isolation. Beyond this point, the manager may utilise technology to even further reduce risks at the job site. In addition to regular check-ins and a way for employees to contact managers, either via radio or mobile phone, the employee can also be outfitted with an alarm or a warning device. This could include panic alarms and other distress signal the worker can activate from the work site itself. Employers can also opt to utilise an automatic alarm that goes off under specific conditions, such as when it detects a lack of movement or perhaps exposure to hazardous substances. Automatic alarms can be particularly helpful for reducing safety risk in the event a worker has fallen unconscious or when is unable to speak. Lone worker safety apps give users the ability to notify managers and emergency personnel that help is immediately needed via a simple action, like pulling a wrist tether from an unlocked phone. Once signalled, the authorities are immediately dispatched to the lone worker’s location, discovered via GPS monitoring from the worker’s mobile device. In addition, previously programmed details about the worker will be sent to the dispatch authorities, requiring the threatened lone worker to enter zero information when the event is taking place. By providing your company with the resources and tools to promote the wellbeing of your workers, you are giving your employees the peace of mind that they aren’t alone. When employees feel safe, productivity increases and energy is geared towards getting the job done. Besides, statistics show that employee perceptions of safety radically impact job productivity and satisfaction while reducing worker’s stress, and this is crucial to a company’s operations. Upon entering their workplace, the worker should always scan the environment for any possible hazards. Depending on the type of work the worker does, these can vary significantly. Some common conditions to look for include weather risks, chemicals, the potential for trips/slips/falls, biohazards, etc. Lone workers must also be particularly aware of social risk. Some workers, such as social workers and home health nurses, often work with people outside of the organisation. In cases such as these, there is the risk of verbal abuse, assault and even harm. Even if the lone worker doesn’t frequently work with people, they need to account for the possibility of an unforeseen assailant, robbery or even theft. Simply being aware of the potential risks that that might face will help the worker take the appropriate precautions needed to help avoid them. Being aware of these things, lone workers need to be mindful of their health and how it can affect them. Eating well, doing exercise and paying attention to the way that they are feeling can positively affect both mental and physical health.